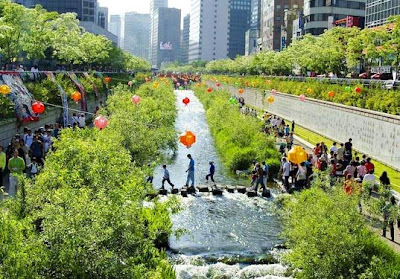 The city of Seoul tore down an old freeway that ran across the entire city, and changed it into an urban park. I love it! 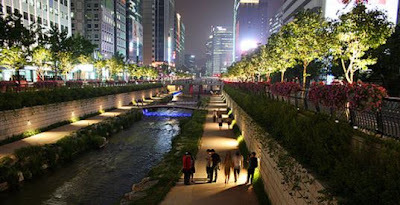 There is one very similar to it in Busan as well. But this one is beautiful! I remember being amazed!